So I had three nice days in Chicago as a side short vacation from a business trip in Atlanta. By the third day, I felt it’s just time to go home. I was getting home sick. No matter how exciting vacation are, ultimately I yearn for my own bed and my own pillows. I needed home cooked food. 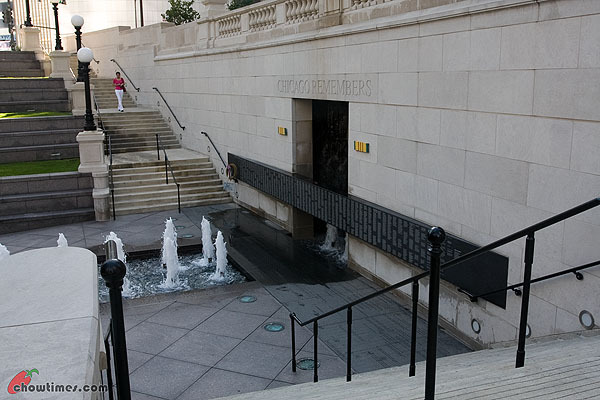 The last touristy thing I did was made a visit to the Centennial Fountain. Anyone walking past this fountain would have just dismissed this as a nice big fountain but I thought this is a well designed and well thought out one. 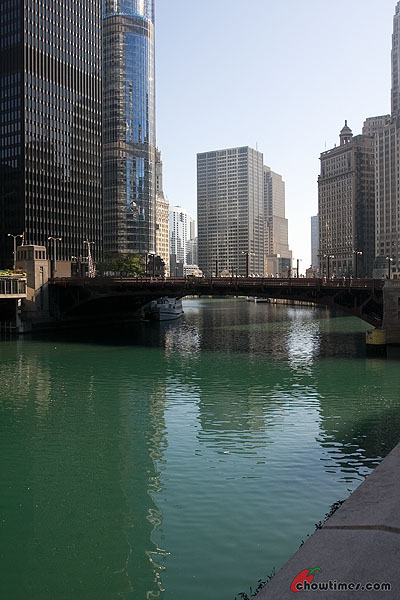 It speaks so much about Chicago River and how it had a positive impact to the quality of life in the city. 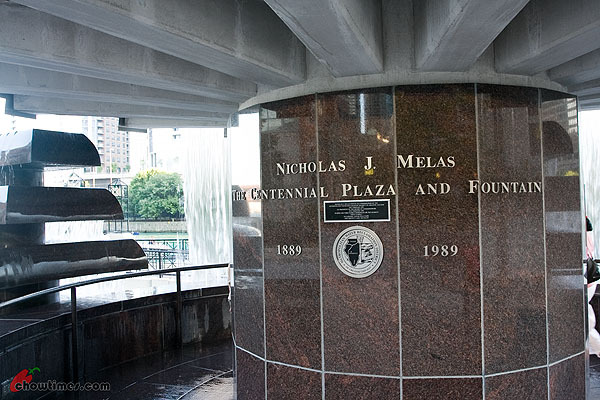 Located in the north side of the Chicago River shortly before it connects to Lake Michigan, this place is called The Centennial Plaza and Fountain. 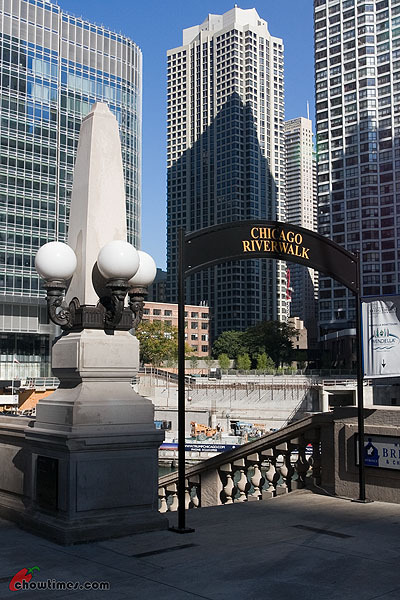 It is built in 1989 to commemorate the 100th year anniversary of the completion of the reversal of the Chicago River. 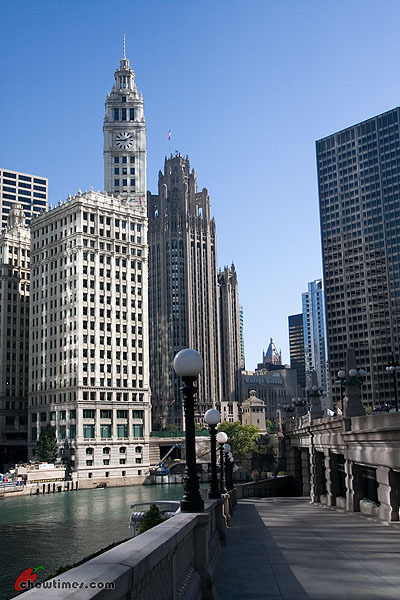 The Chicago River used to flow into the Lake Michigan, bringing along it sewage and contaminating the lake. As the city grew, this became more of a problem as it polluted the drinking water and caused diseases. So a massive engineering project was carried out to reverse the flow of the river away from the Lake Michigan and into the Mississippi River. Time to eat. 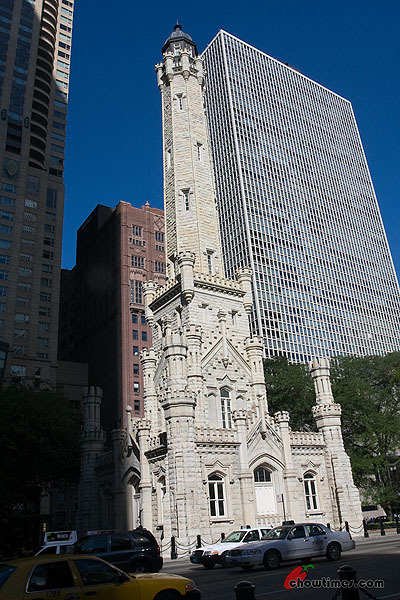 After the Chicago History Museum, I headed back to the Magnificent Mile. 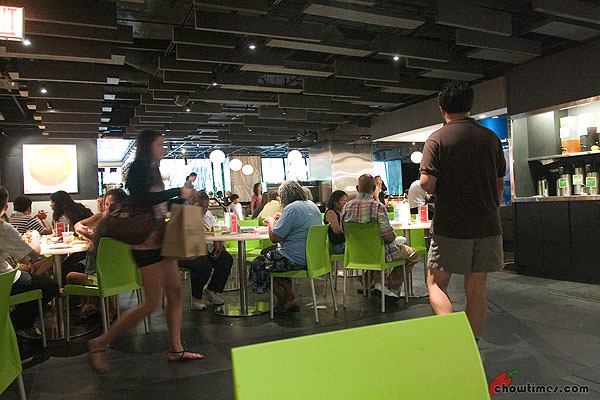 I read about a place where they say is a gourmet food court. 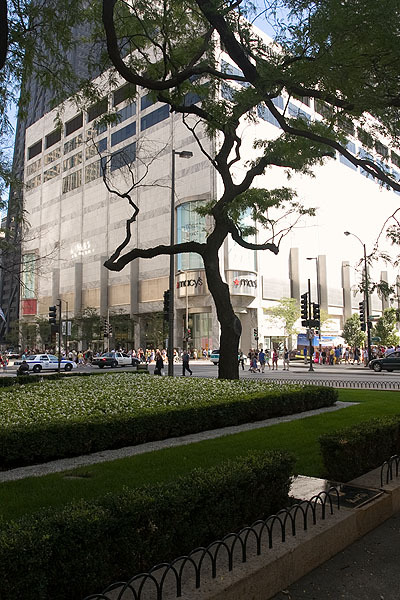 It is located at the Water Tower Place, the same high-rise building that Oprah’s apartment was. 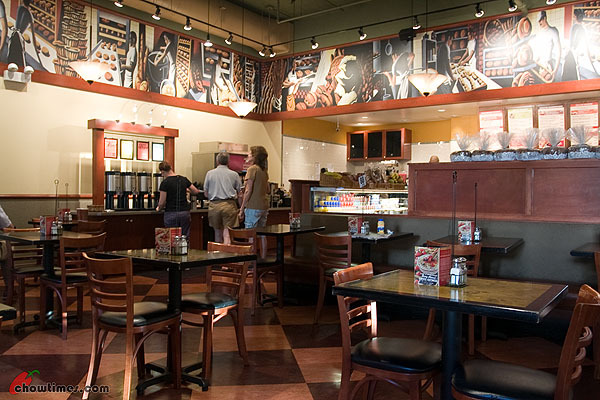 I never quite get this place why so many people raved about it. 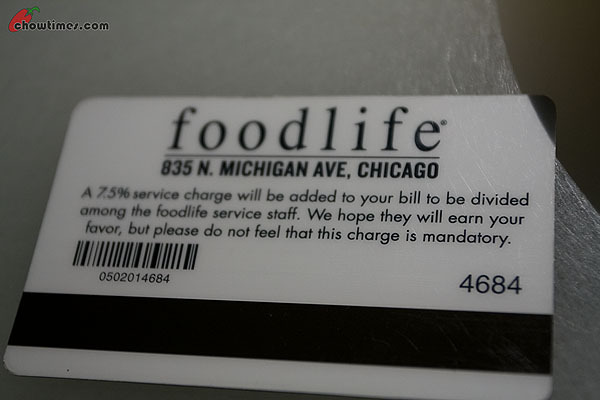 Foodlife is the name of the place. You can’t just walk in. 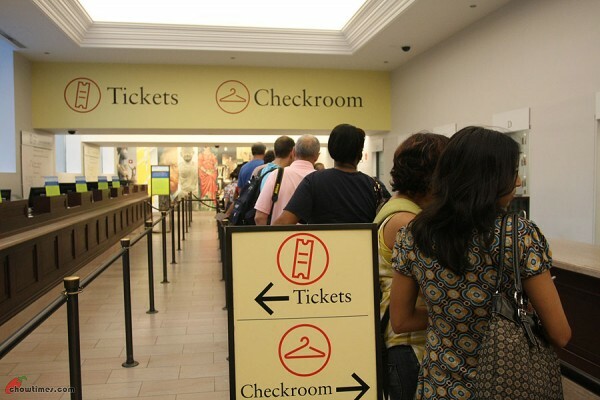 The Fields Museum of Natural History was simply too large to visit for the day. 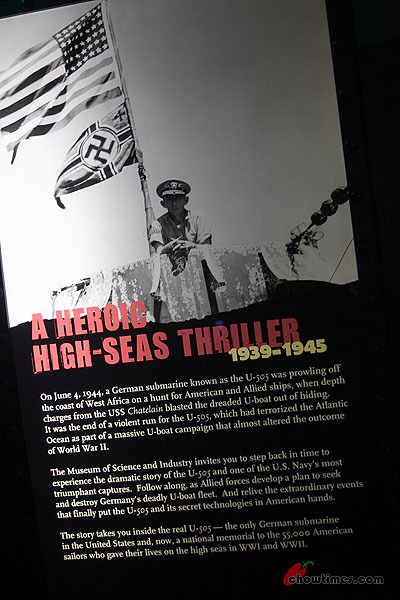 I thought it is better to spend the time in a smaller, more relevant museum for my trip. 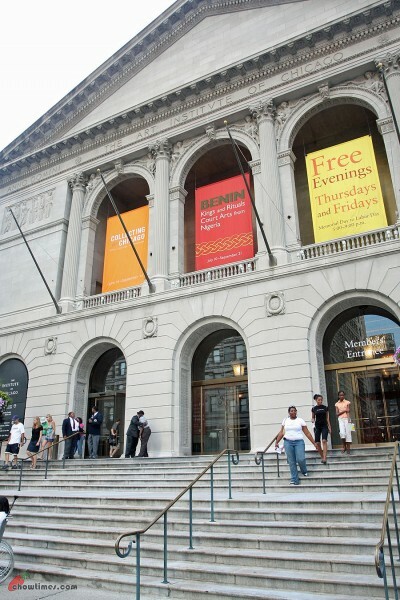 For a human history buff like me, I know that the Chicago History Museum would tell a better story of Chicago. This time I headed north, again outside the city. I took the bus entirely and for a moment got disoriented after I got off the bus. It was like, oh, which direction do I head? I spent a few minutes walking in the wrong direction until someone pointed me to go back the way I came from. This is a small museum and there were not a lot of visitors. The museum don’t even open early because I remember waiting outside for the doors to open and there were only two other couples waiting. This museum was exactly the type of museum I like a lot. 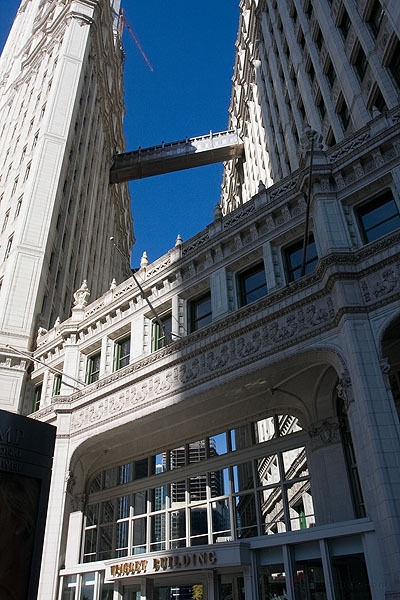 If you want to learn about Chicago, this is just the place to go to. 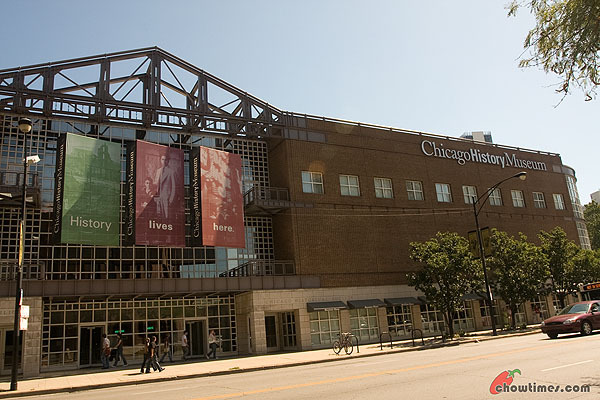 In this museum, I learned about the major formative events of Chicago. 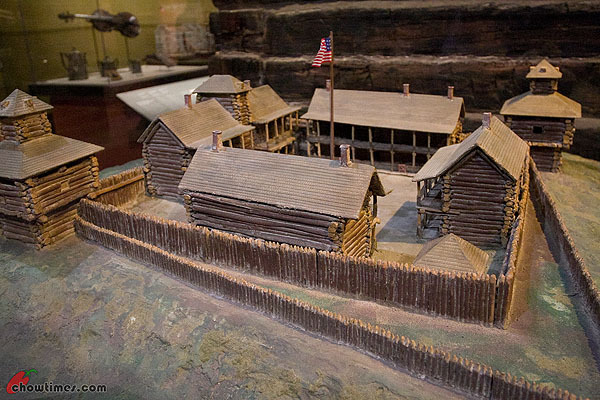 Fort Dearborn is where the present day Chicago started from. It is built as a desolated outpost over 200 years ago. 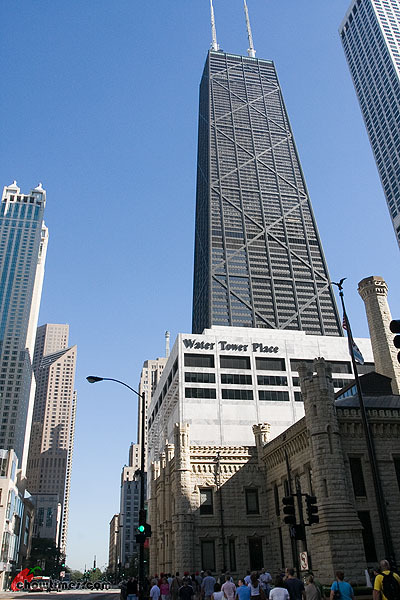 The name “Chicago” came from the Indian word shikaakwa, which means wild onion or wild garlic. 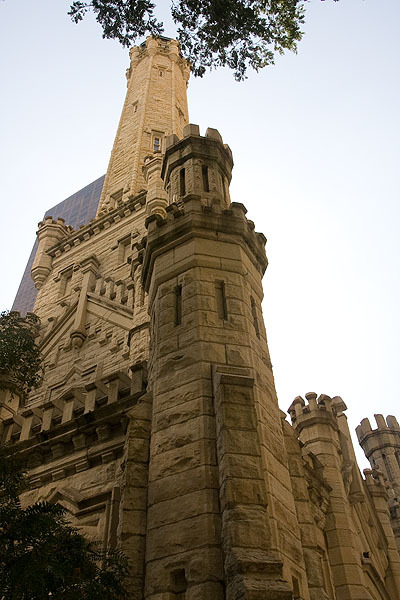 Chicago grew from this fort into a major transportation hub of the US. 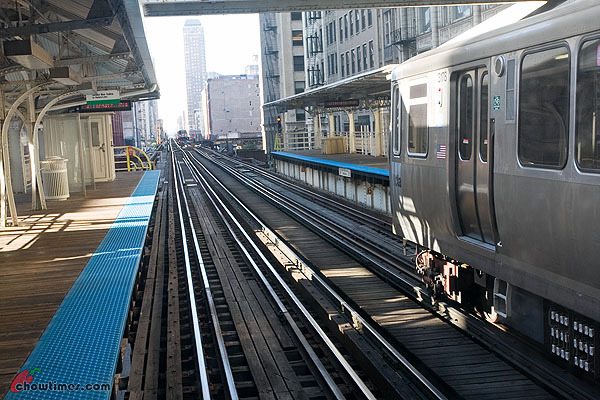 The access to the Great Lakes and the fact that almost all trains stops at Chicago, very quickly made Chicago into the 2nd biggest city behind New York. 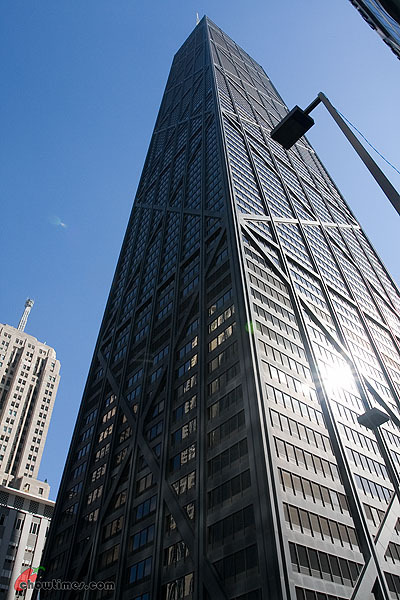 Today, Chicago is the third largest city in the US when LA overtook it a couple of decades ago. 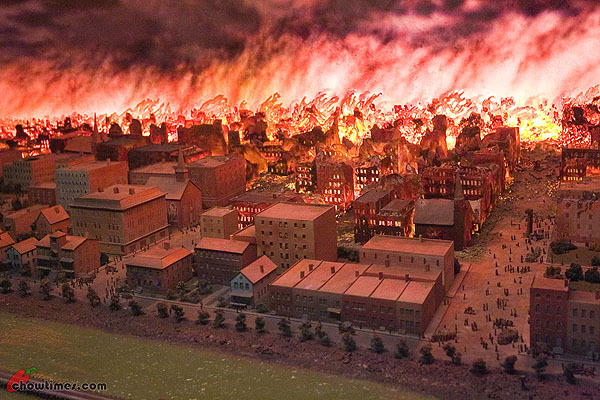 The next big event is the Chicago Fire of 1871. That fire raged for three days and when it was finally over, a third of the city lies in ruins. Amazingly, only 300 people died in the fire. 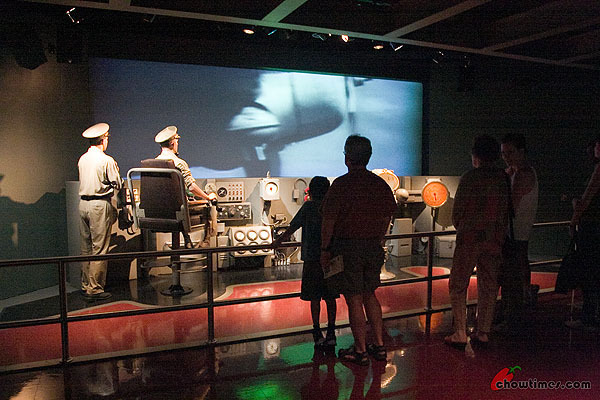 The museum recorded in detail the entire episode. 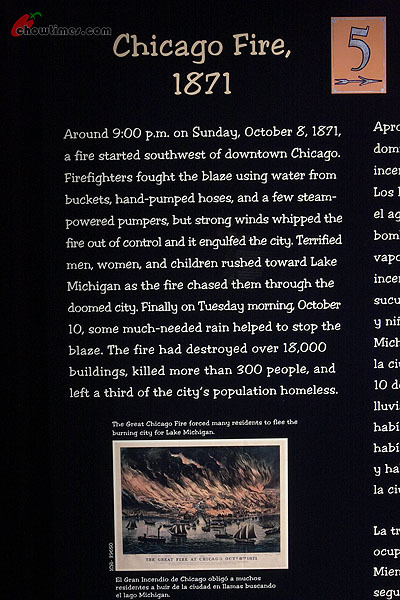 As a result of the great fire, there was a great reconstruction effort which pretty much led to many of what we see in Chicago today. 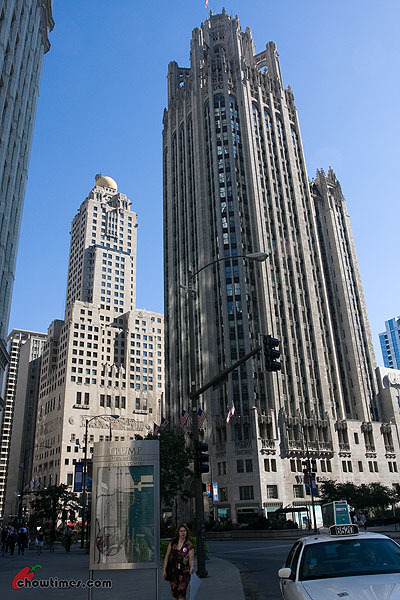 The reconstructions ushered in the first skyscraper in the world just six short years after the fire. So in some ways, the fire is like a blessing. 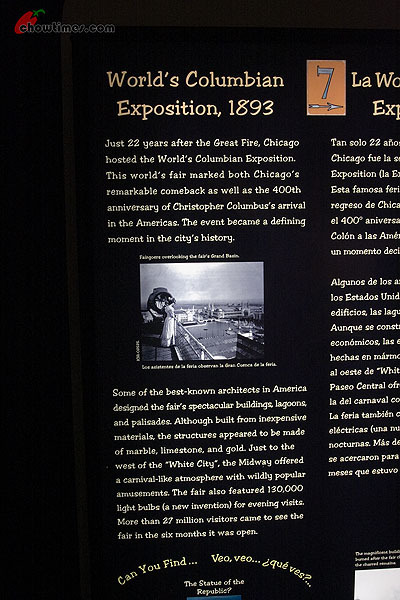 22 years after the Chicago Fire, the city rose from its ashes and hosted the the World’s Columbian Exposition of 1893. 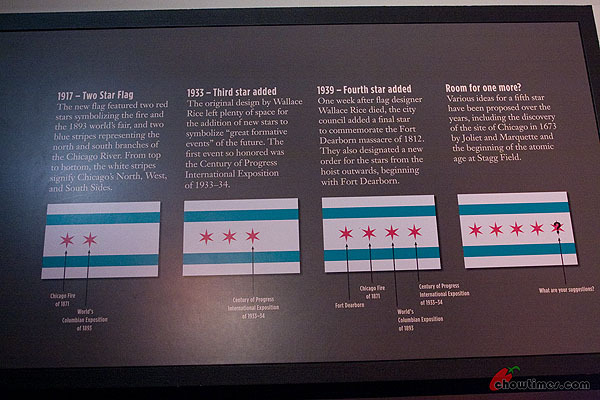 All these events are reflected in the flag of Chicago. The most famous son of Illinois is Abraham Lincoln. The above is the deathbed of the president after he was fatally shot in Washington DC. Suanne and I visited the Ford Theatre and The House Where Lincoln Died just a couple of years ago. The deathbed in the house where Abraham Lincoln died is just a replica. 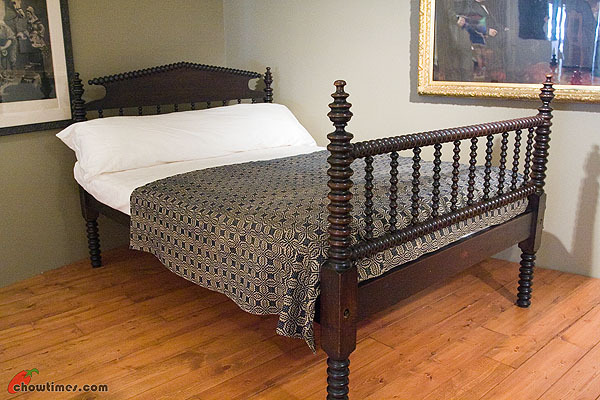 The real deathbed had been shipped to Chicago and the one above in the Chicago History Museum is the actual bed. 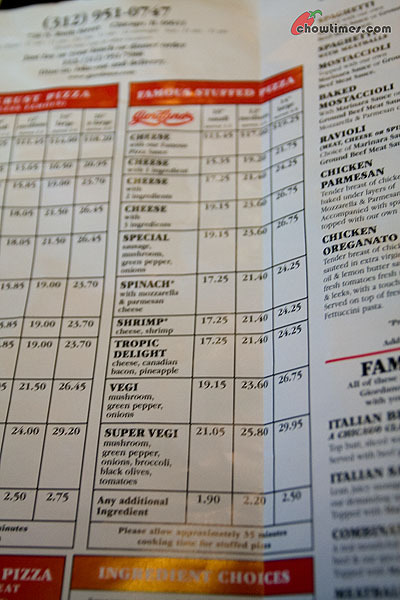 OK, let’s talk about food. 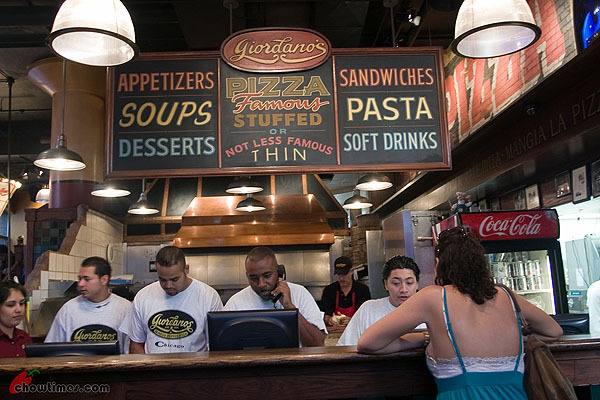 Chicago food. 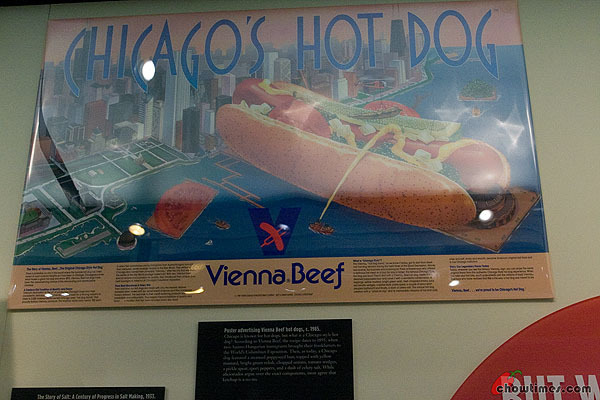 Other than the deep dish pizza, the Chicago Hot Dog is what the city is famous for. 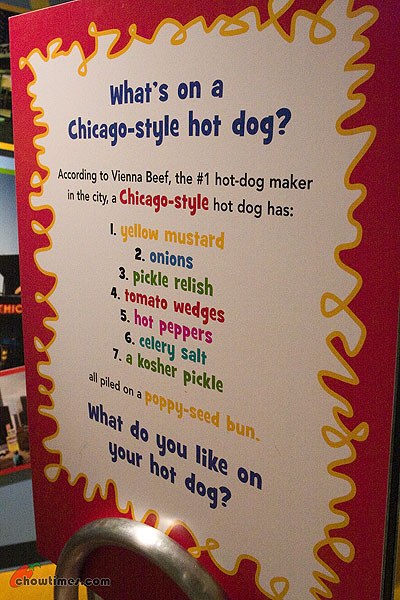 I first had the Chicago Style Hot Dog in the early days of chowtimes. 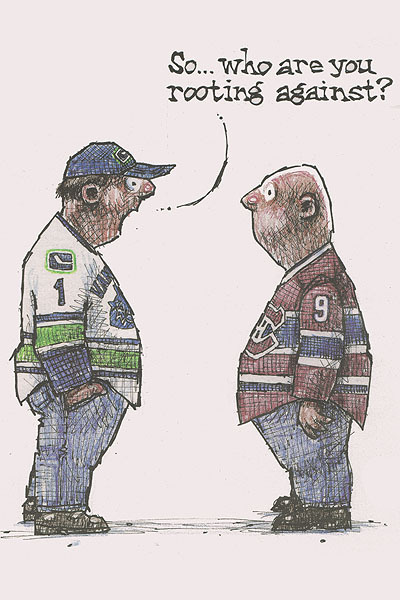 It is in fact one of the first few posts I had written. 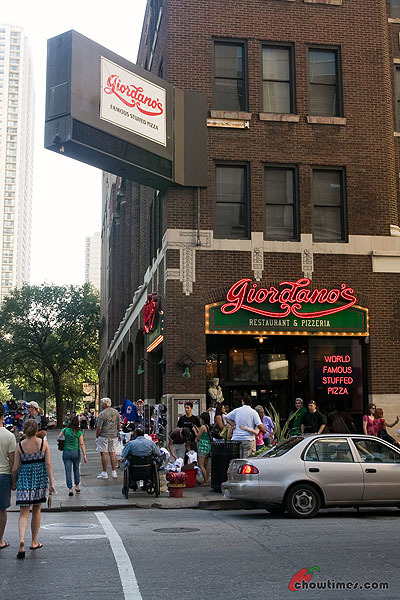 Chicago: Can’t Decide What To Do! It was day 3 in Chicago. The last day before I return home. I had done all the important sights on the first two days that I don’t have a clear plan of what to do. So if it means criss-crossing the city to cover the places that I had not visited before, so be it. 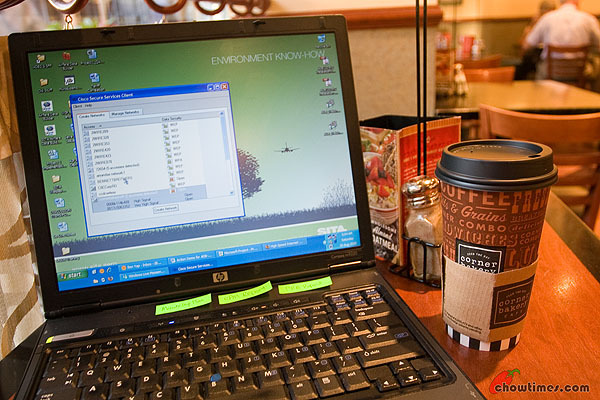 I went back to the same Corner Bakery Cafe for breakfast simply because they had free wifi. The poster of the Berry Almond Swiss looked so good. 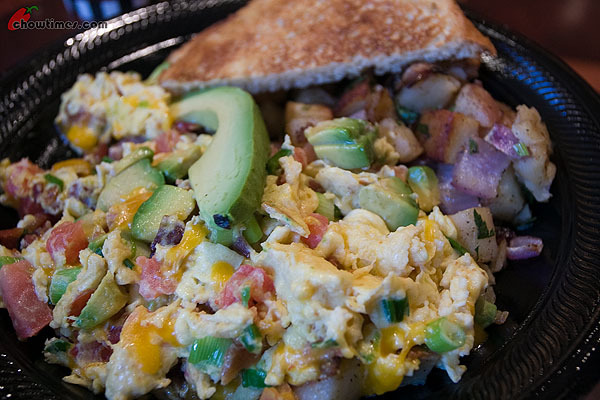 So I ordered that. It did not at all look anything like what is in the poster. The mushy oatmeal stuff at the bottom … I hate mushy stuff like that, especially the ones in the color. 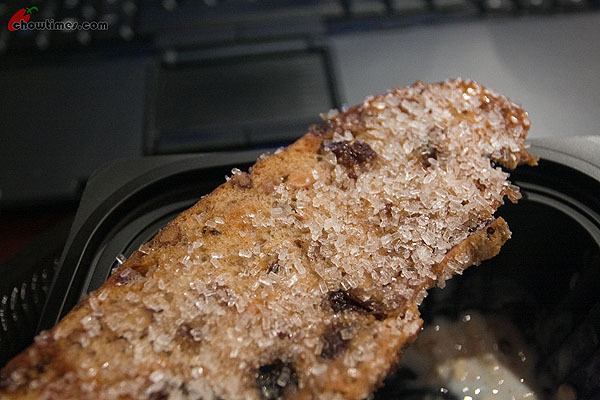 But actually it tasted a lot better than it looked. 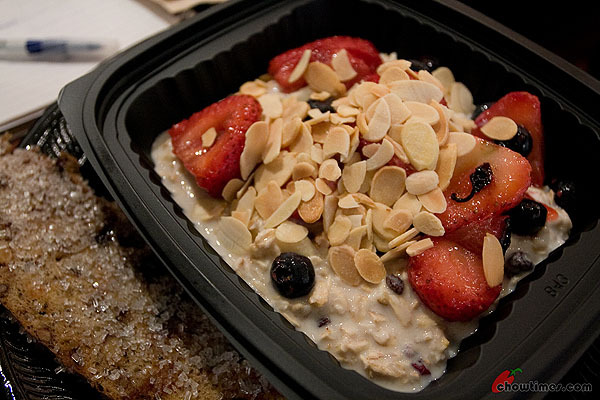 The sweet crisp or whatever you call it was a great addition to the oatmeal. 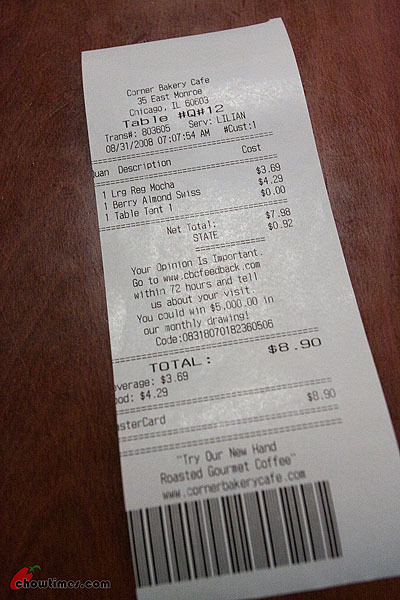 The price is not bad too. 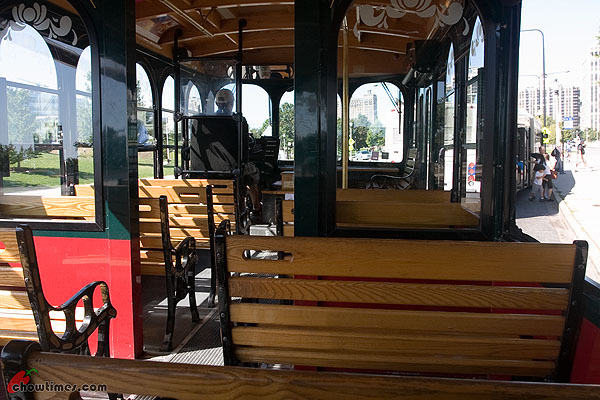 I hopped on to the trolleys for a ride to the first destination of the day. 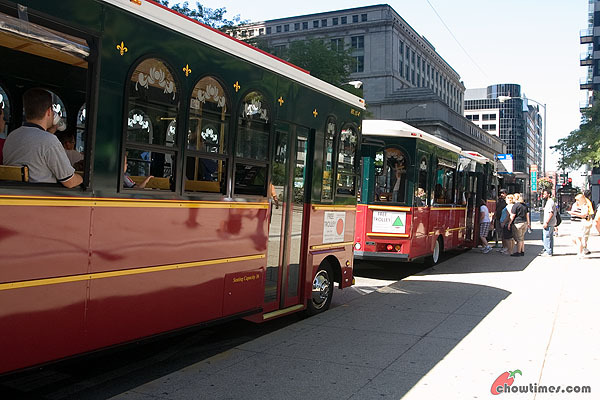 The trolleys are nice. There are no windows; so you can stick your face out to catch the breeze. For me, being able to rest the elbow on the window sill and smelling the fresh air outside is just great. The sun was out. So it felt like being ferried around in a convertible. This is what a convertible will look like when it grows up to be a bus. The best thing about the trolleys? It’s free! There are designated stops it will make and runs every 20 minutes. 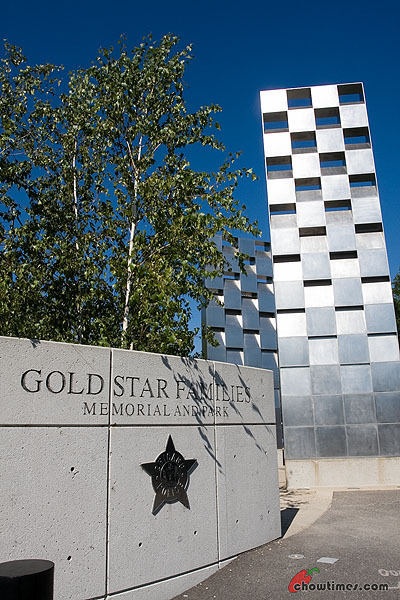 First stop was the Gold Star Families Memorial and Park. There was not a lot to see there. 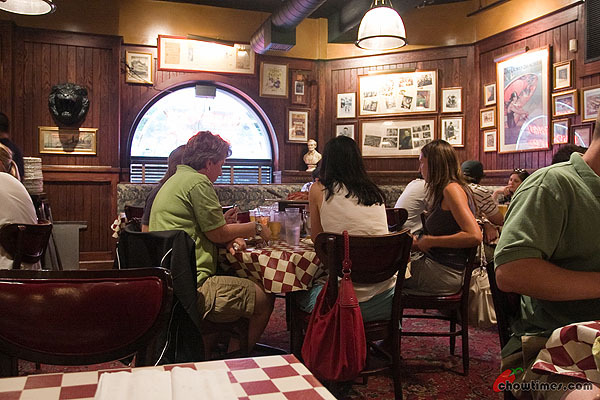 The guidebook alluded that this is a must see place. 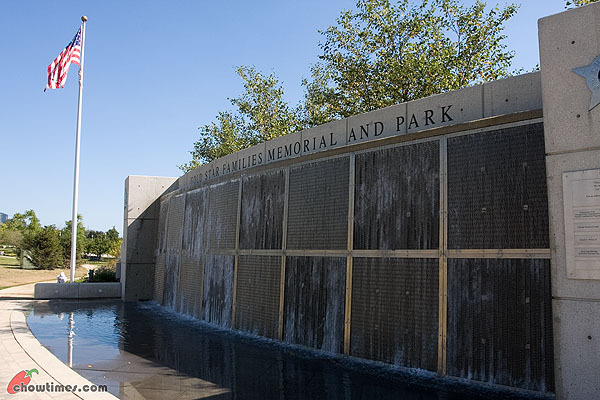 It is a memorial built to honor the officers who were killed on duty. The whole design meant something which I forgot. 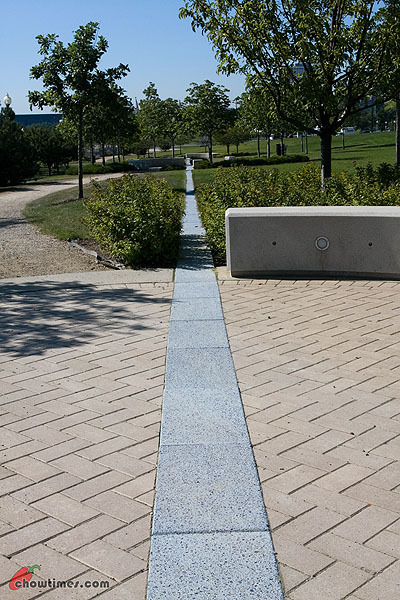 With a straight line with meandering paths criss crossing it, it is supposed to mean something. I forgot what it is. 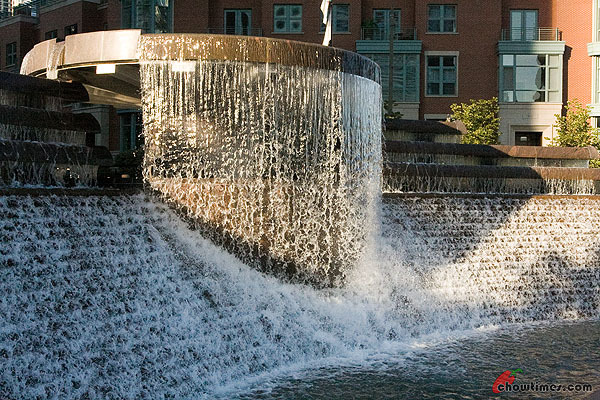 At the end of it is the wall with cascading water. I headed back after a few pictures. 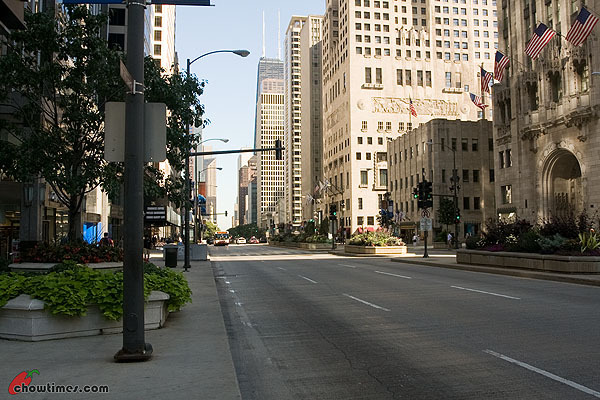 So that was a very busy first day in Chicago. 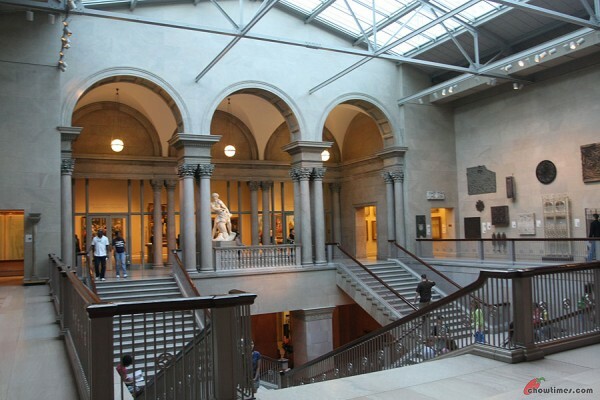 There is one place I absolutely want to go was the art museum. It has to be that very day … that very evening. 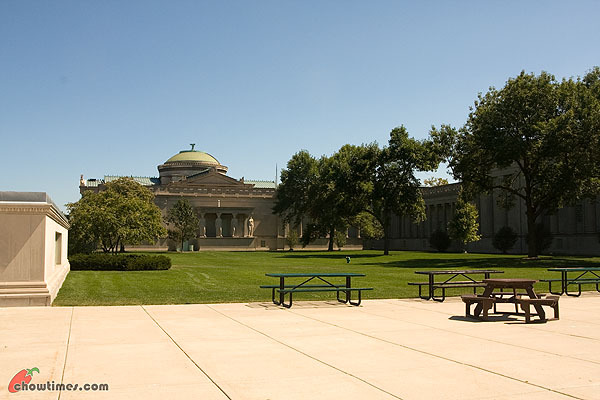 And so I rushed from the Navy Pier to the Art Institute of Chicago. No really. 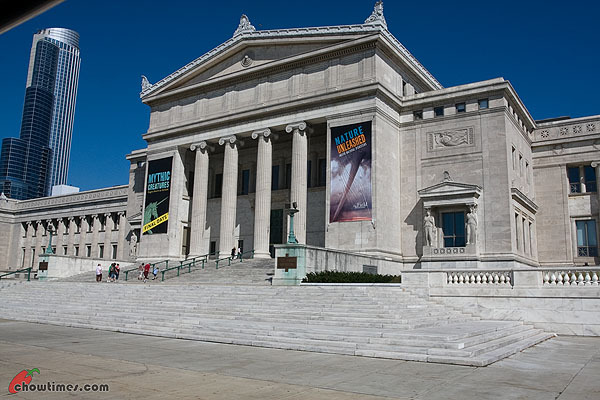 If you are into art, you don’t want to miss the Art Institute of Chicago. 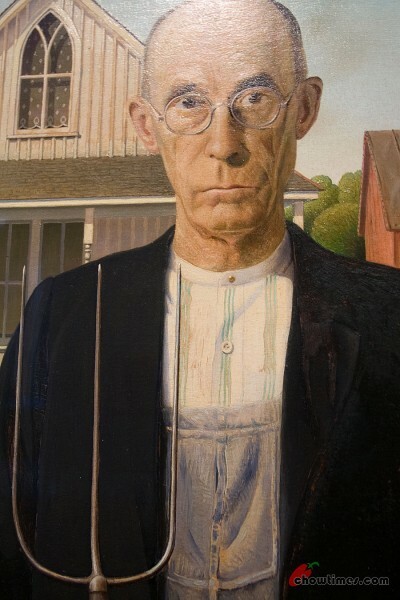 They have some of the world’s most famous pieces of 19th century art. You can see that there are a lot of people who came because its free. I did not want to carry my camera backpack with me after having lugged it around town the whole day. Good thing is this museum allows photography. Some museums I had been to do not allow it at all. 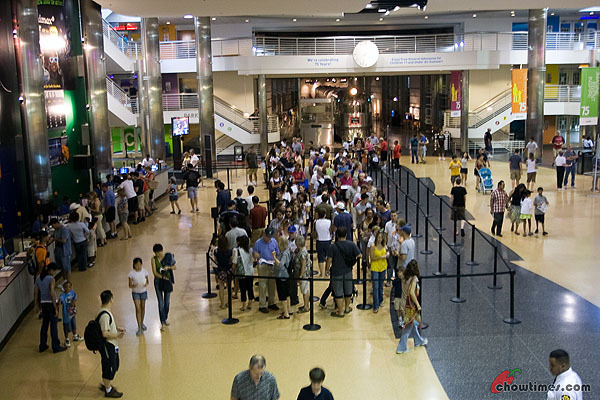 Most will allow photography with the condition you don’t use flash or tripod. I am cool with that … I think I have a steady hand and don’t need them. There is that ONE painting I wanted to see and so I looked for it first. 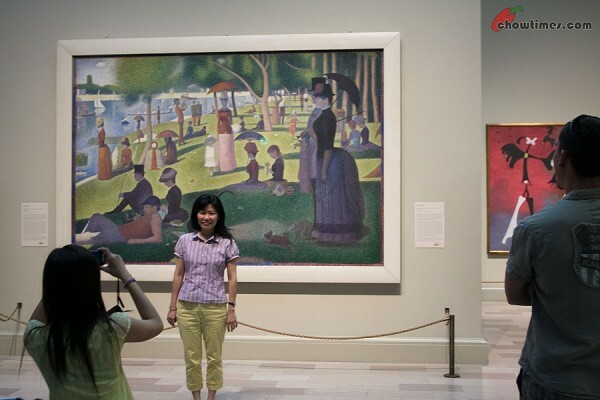 It is the Georges Seurat’s most famous works called A Sunday Afternoon on the Island of La Grande Jatte. I used to make a 3000-piece jigsaw puzzle of this painting. I walked right up to the painting and took close up shots of the painting … like just a few inches away from the painting. He he he … the people there was wondering what I was doing hogging the painting when they are waiting to take pictures too. I did it so that you can have a closer up look. Here … I photosynth it so you can look at the various parts and zoom in up real close. This painting is a form of painting call pointilism. It was painted using miniature dots which brings out the brilliant colors better than conventional painting forms. This French painting took two years to complete. With that out of the way, I systematically went to the other halls. 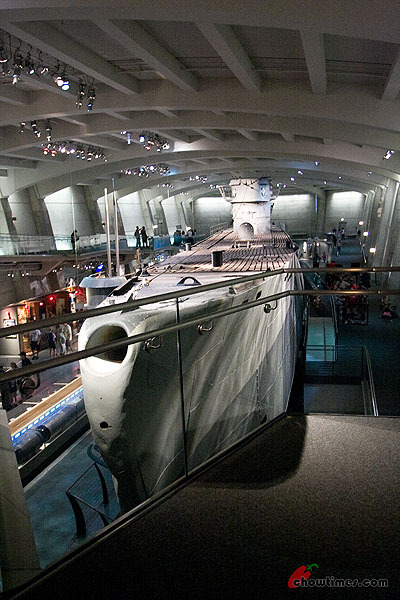 Given the short time remaining, I do not have the chance to cover this museum as much as I like. So I just focused on their more notable pieces. 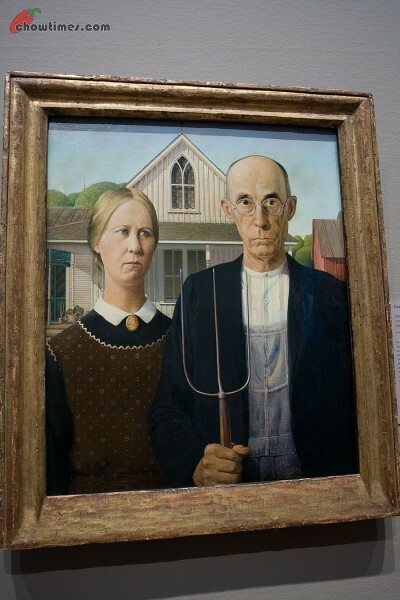 The American Gothic is perhaps the most parodied painting in the US. 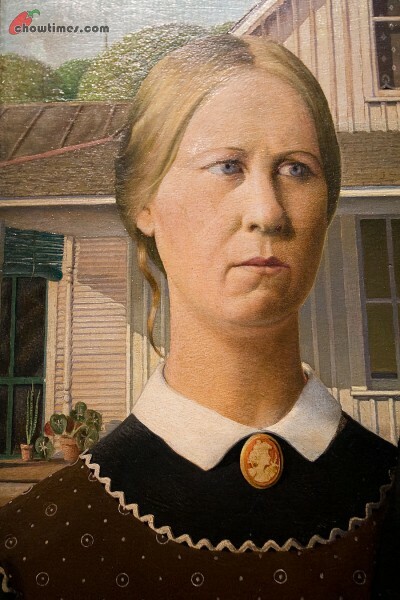 Painted in 1930 by Grant Wood, the artist wanted to pain the white house along with the the people who he believes would live in them. The house in the background is actually a real house in Iowa. Here … see this Google Streetview map. The house is at the background. The man who posed for this picture is actually the artist’s dentist while the woman is the artist’s sister. The house, the man and the woman are painted separately at different times. This iconic image of a grim faced man with his wife (or daughter) came into prominence during the Great Depression when it came to symbolize the hard working American couple. 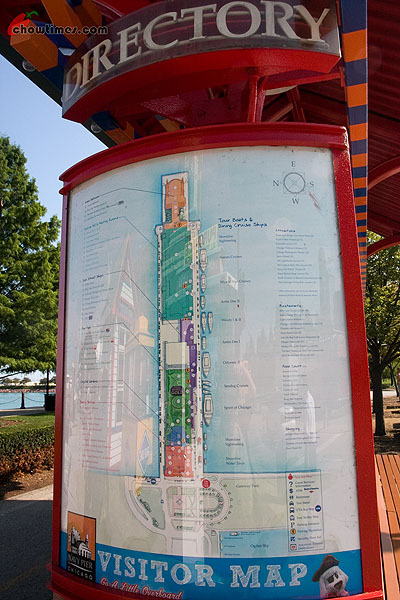 After the deep dish pizza meal at Pizzeria Uno, I headed next to the Navy Pier. 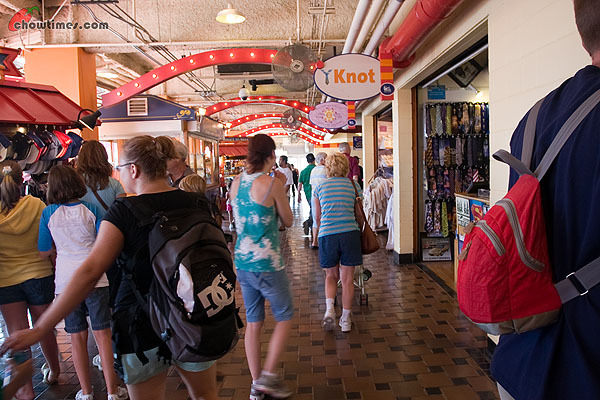 It was just a short 20 minutes walk to the pier. 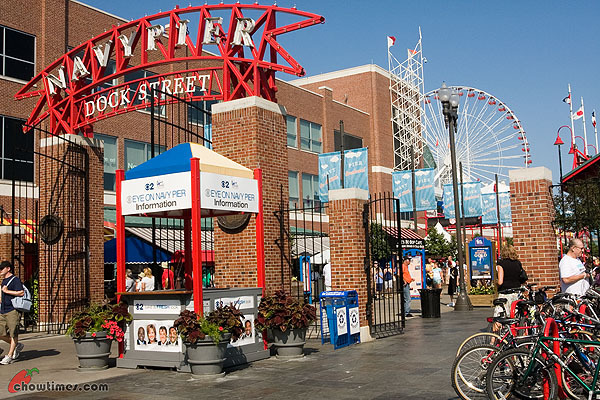 The Navy Pier is the top tourist attraction in Chicago. 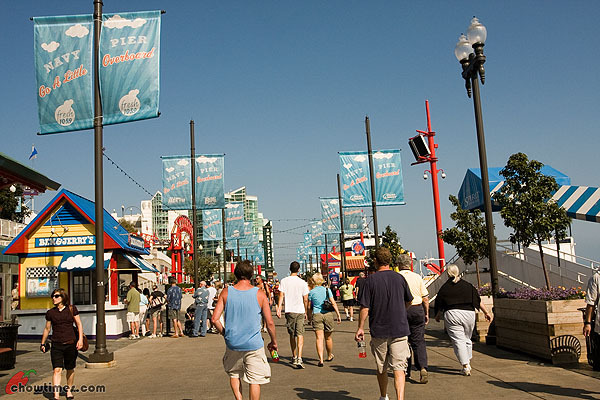 It has an air of festivities the closer I got to the pier. It is like the feeling that you’re going to a fair. 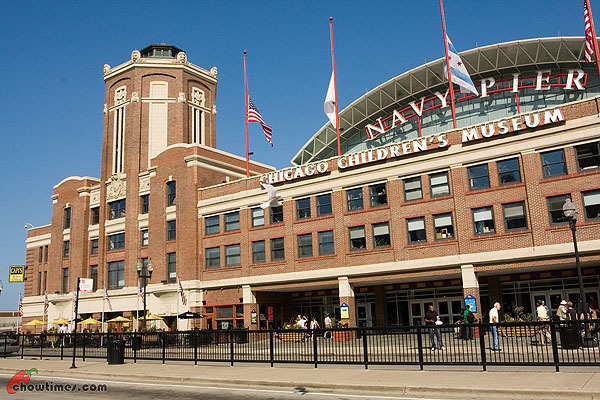 The Navy Pier is almost a hundred years old now. When it was build, it was the longest pier in the world. 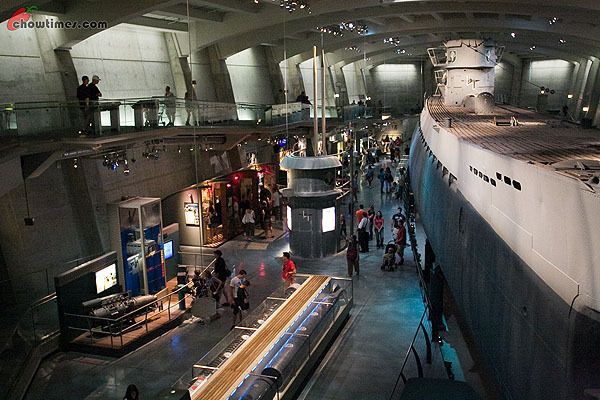 It was designed to be a shipping and warehouse facility. 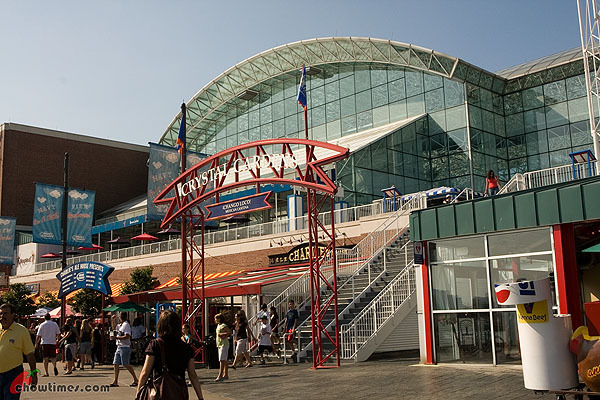 The pier fell into disuse until it was revive as an entertainment complex in the 1990s.